More of our extraordinary bucket orchids are flowering. Coryanthes macrantha (above) is one of the parents of the hybrid featured in my last post. You can see what the other parent looks like here. 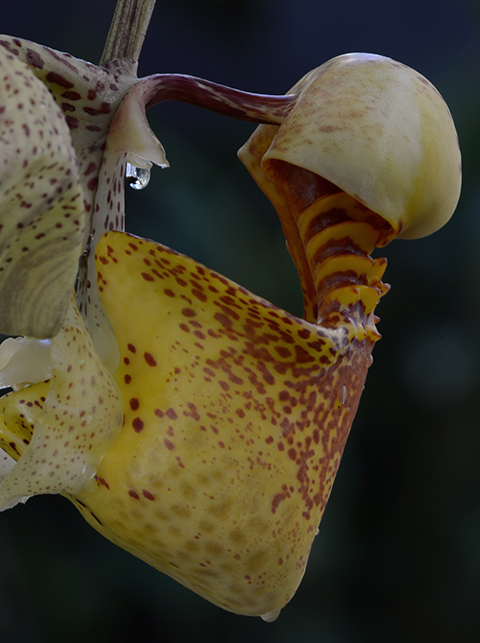 Although Coryanthes are, in my experience, among the more difficult orchids to grow, Coryanthes macrantha has always been a consistently strong grower for us. 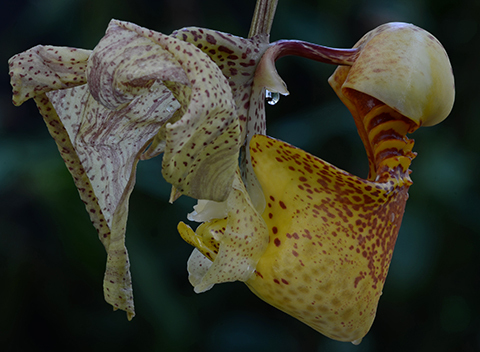 I'm also looking forward to seeing the first flowers on the seedling offspring of Coryanthes macrantha var. alba this year.